Anytime you get a new iPhone or iPad, managing, transferring and saving your old data can make this "moving day" worse than an actual moving day. It seems like there's a different fix depending on the file type, and it can make you long for the days when all our files and photos were kept on the same device. Luckily, there's an assistant specially geared to the task: iMazing 2. Compatible with any iOS device, iMazing 2 serves as a virtual usher, helping get your files quickly and easily to where you want them. Export videos and photos without the use of iCloud or iTunes, copy songs from PC to iPhone with a simple drag and drop - even extract your important text messages for saving or printing. iMazing 2 helps you manage that unwieldy and duplicate-ridden contact list, save voicemails and more, all with one simple tool. 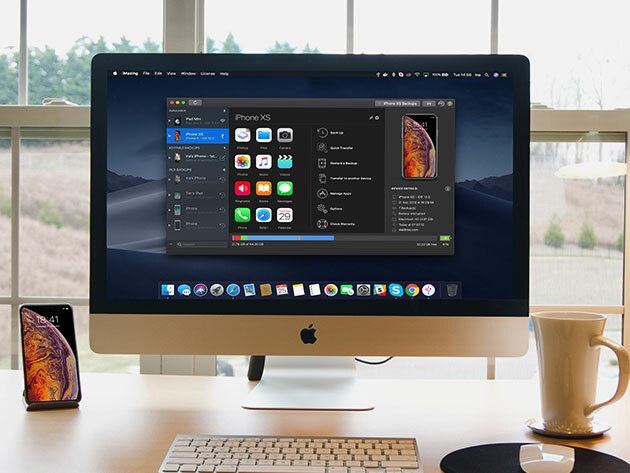 Make your next data transfer a breeze with a universal license for iMazing 2 for Mac & Windows, now available in the Boing Boing Store for $19.99.